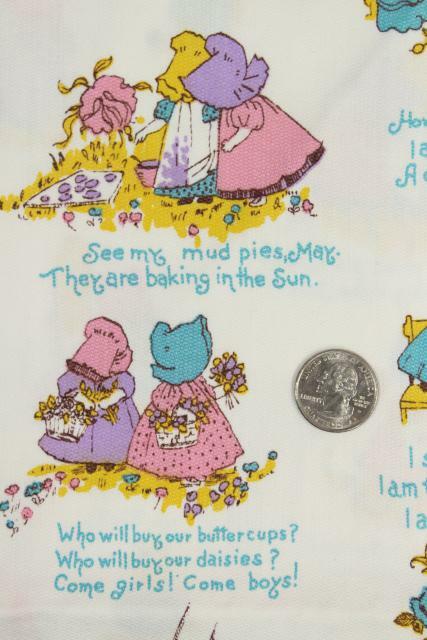 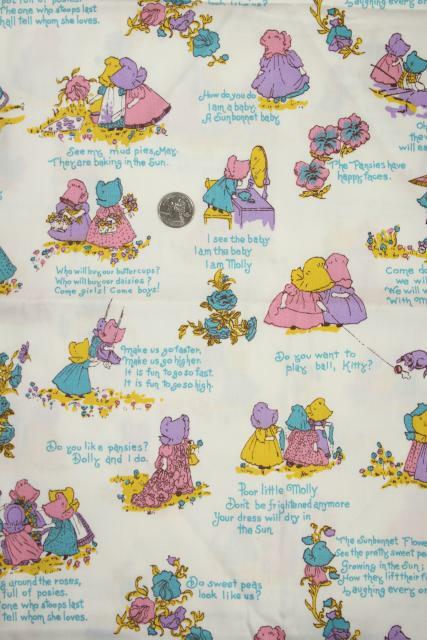 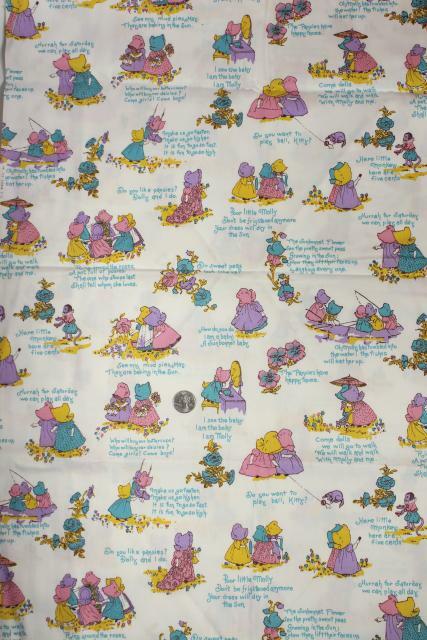 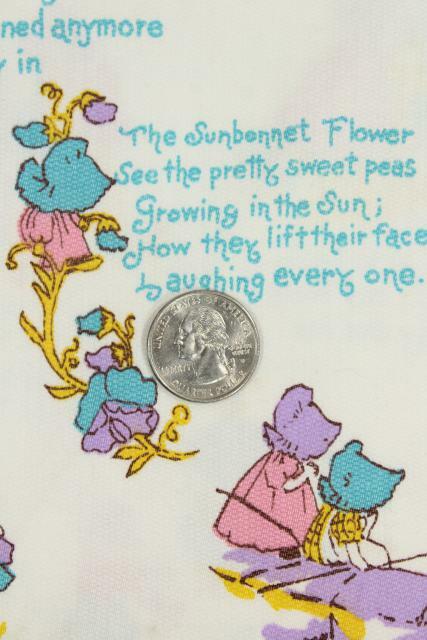 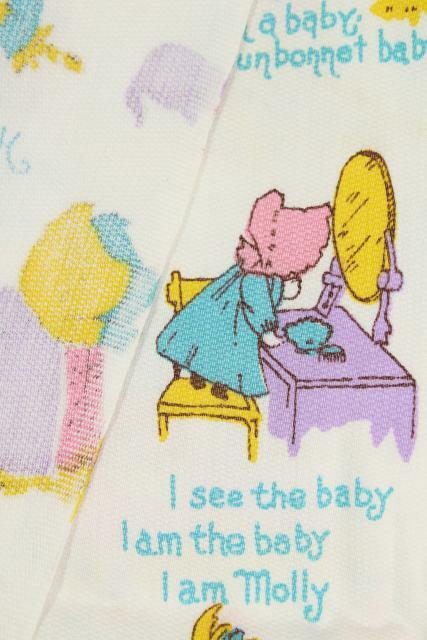 Sweet Kate Greenaway print on this 1970s vintage cotton fabric. 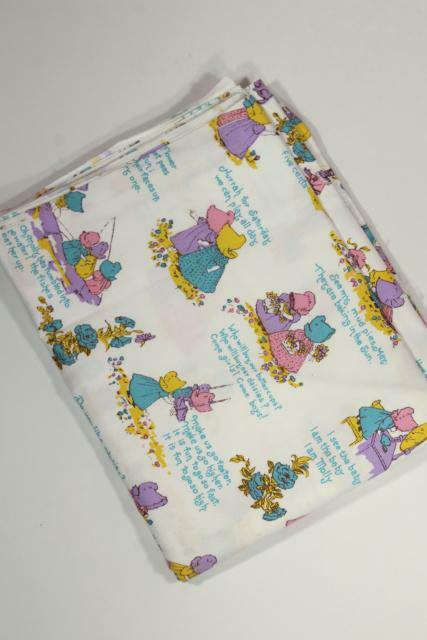 It's duck, medium weight - a little heavy for quilting, but great for accessories like a tote bag etc.. 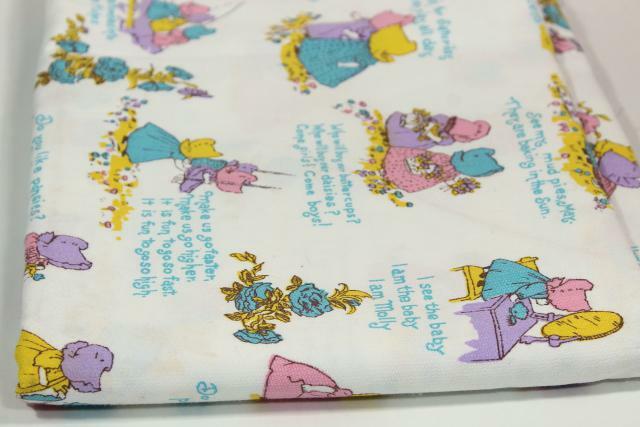 This is 44" wide x 1 1/2 yards.